While this show was billed as a solo Simone Felice gig, the overarching view at its conclusion was how effectively the emerging talent of Anna Mitchel had been blended into the evening’s offerings. The pair of artists had only commenced their creative partnership earlier this year and the chemistry on show at Birmingham’s Glee Club demonstrated an outstanding merging of two contrasting talents. The enigmatic Simone and unflustered Anna worked in harmonious tandem to present a bucketful of songs from all three phases of his career – solo work, Duke and the King songs and older Felice Brothers material. Anna, who hails from Cork, had the honour of appearing on stage throughout the duration of the show courtesy of opening the evening with a few of her own songs before proceeding to accompanying Simone for the main set. Granted time for around half a dozen numbers, Anna wasted little time in steering the audience towards her cultured piano playing providing the backdrop to her cross genre songs. There is a heavily leaning Americana stance to Anna’s delivery of folk-styled songs. This was highlighted in the title of her first song ‘Tennessee’, and she later drifted more into country territory with a quarter pace cover version of the ever popular ‘Jolene’. Putting genre aside for a moment, Anne is, no more – no less, the model singer-songwriter who undoubtedly gets her inspiration and influence from the right sources. 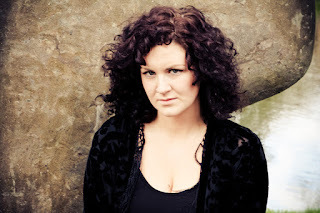 Apart from a new song, titled ‘Radio Waves’ and based on chasing that elusive hit, the rest of Anna’s set came from her highly praised debut record DOWN TO THE BONE with perhaps the highlight being ‘When My Ship Comes In’. Simone Felice has a strong following in Birmingham, appearing twice in the city at alternative venues last year. Those dates were in support of his brilliant album STRANGERS which was a deserved entrant in many Top Album lists of 2014. Three excellent songs from that release continued to impress during this intimate show with barely a hair splitting the audience effect of listening to ‘If You Go To LA’, Bye Bye Palenville’ and ‘The Gallows’. Having only caught Simone’s band show last year, it was a delight to see his material transcend without blemish to a solo delivery via just acoustic guitar. Simone’s voice nourished the songs and his almost contorted stage presence gives them a motioned soulful gloss. He mixes a touch eccentricity with bags of humble appreciation to earn a standing ovation at the end of his pre-encore set. The audience appeared to really get into material from his ‘Duke’ days with ‘Water Spider’, ‘The Morning I Get To Hell’, Union Street’ and show closer ‘If You Ever Get Famous’ accruing loud and appreciative praise. In fact the love towards Simone was forthcoming from the opening bars of ‘Courtney Love’ which headed the set list and it wasn’t too long before we were enjoying ‘Charade’, ‘New York Times’ and ‘You and I Belong’, all from the 2012 self-titled debut album. ‘Mercy’ and ‘Don’t Wake The Scarecrow’ represented an earlier phase of Simone’s career which has been threaded with a consistent strand of high quality. Simone’s current UK tour is in support of a new live double album recorded in the iconic village of Woodstock, located in his home state of New York. It was this project which helped cement the collaboration with Anna, a match up that has been extended to tours either side of the pond. Anna almost had a steadying influence on Simone and flitted between harmonium, piano and tambourine to support his songs, not forgetting exquisite harmony backing vocals. The mutual gratitude of this liaison radiated from both performers and the balancing of Anna’s smooth Celtic influence etched itself on Simone’s exalted poetic appeal. 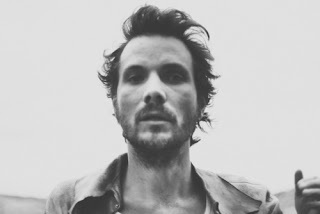 Any move in the aftermath to double bill this show can start right here with ultimately Simone Felice and Anna Mitchell combining for a splendid evening of entertainment.